Addington Brass are pleased to announce that Genevieve will be appearing with Addington Brass at Christmas Mission. Genevieve Jenson is a young performer from Christchurch, having just turned eighteen she has completed her second year of her B.Mus in Performance Voice at University of Canterbury. Genevieve is currently rehearsing for the North Canterbury Musical Society’s production of Les Miserables in April 2008, when she will play Cosette. Her recent performances include chorus work for Southern Operas ‘Carmen’ (2007) and the role of Molly in the University of Canterburys production of ‘The Godboy’. She also played the role of ‘La Sorella Infermiera’ in Canterbury Operas 2005 Season of ‘Suor Angelica’ and understudied the role of ‘Suor Genovieffa’. She performed the role of ‘Frederika’ in Sondheims ‘A Little Night Music’ with Canterbury Opera in 2004. Genevieve has also sung at many different events, such as Coca-cola Christmas in the park, the opening of the New Zealand Ballroom and Latin Dance Championships and with the Christchurch Symphony Orchestra at Canterbury Operas 21st Birthday gala concert. In 2005 Genevieve had the pleasure of singing with Teddy Tahu Rhodes at a benefit concert in the Great Hall, and in 2004 she performed in ‘The Sopranos Concert’ for the Nelson Arts Festival and again in Christchurch. 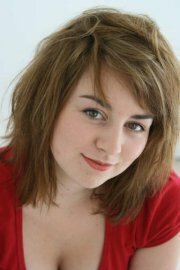 Genevieve enjoys singing a wide variety of styles, including opera, jazz and contemporary music. Along with the many hours of performance and voice work, she also spends her time doing Ballroom and Latin American Dancing.